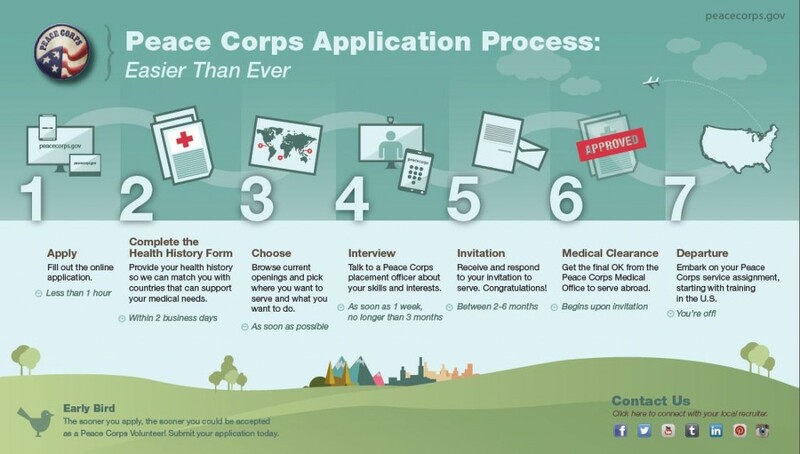 This year Peace Corps completely revamped their application process! What does this mean for you? It means the notoriously cumbersome Peace Corps application can now be completed in about 1 hour, making the legendary program as competitive as some of the top jobs in the country. Check out our tips as you embark on the application process. You know how your high school counselor told you to visit university campuses and meet with their admissions office? Well, if you’re interested in Peace Corps programs, we suggest you meet with your local Peace Corps recruiter for the most up-to-date, official program information. You can find one here. If you identify as LBGT and want more info on what it is like to serve in the Peace Corps, check out lbgtrpcv.org. The majority of Peace Corps programs commence in late spring/early summer (after most students graduate). Positions tend to be posted 7-9 months prior to departure and are updated about every 3 months. This means the majority of positions will be posted between September and November, so plan ahead. The Peace Corps admission team wants to see that you did your research (this is a good tip for all professional applications). Take the time to look through the database of positions and consider the locations, focus areas (education, health, etc.) and even specific titles (e.g., Primary Education English Teacher) that fit your goals and preferences. In the second stage of your application, you will indicate the programs you are interested in. DO NOT select a region with a focus area that does not have any open positions. For example, if you are interested in education and living in Colombia, but Colombia does not have any open teaching positions, do not mark “Location: Colombia, Focus: Education.” This oversight in matching open opportunities to your preferences will affect consideration of your application. Know that the Peace Corps is not for everyone. Be realistic in your preferences and your goals, and your commitment to the opportunity. The best candidates should possess a sense of adventure and a willingness to learn. And you had better be up for your restroom being a hole in the ground, which may or may not be inhabited by snakes (speaking from experience here). Every position in the Peace Corps database contains a “Living Conditions” section; read it, then imagine yourself in that environment. Do you look happy? If so, great! 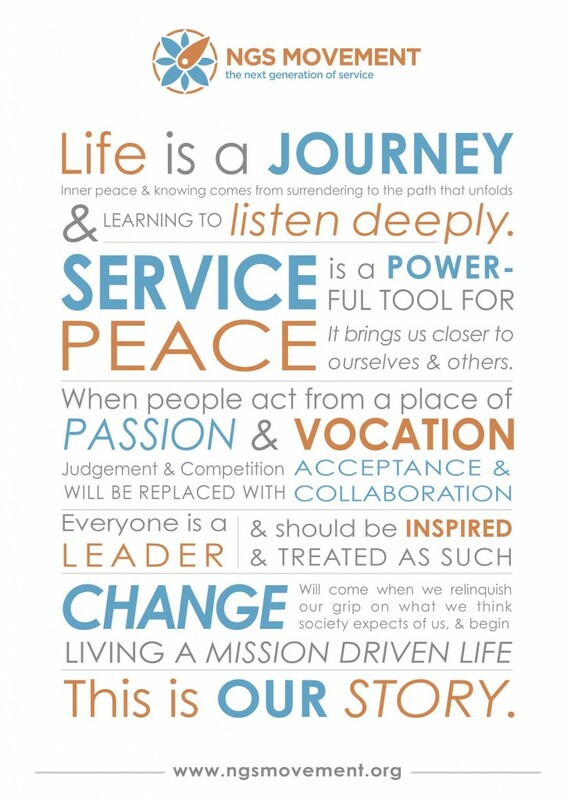 If not, the NGS guides are available to talk you through the decision process and the alternatives to Peace Corps. Sign up for a one-on-one session with a NGS guide here. To all the RPCVs out there feel free to add your tips bellow!